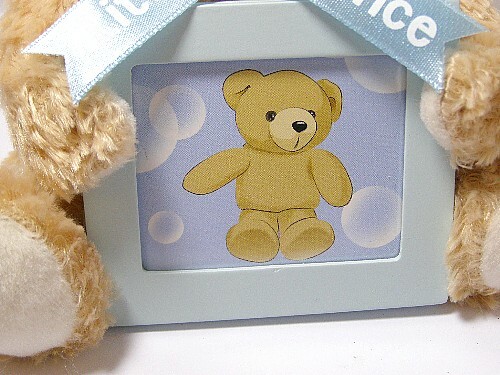 A beautiful musical teddy bear photo frame ideal for christening or naming ceremony gift. 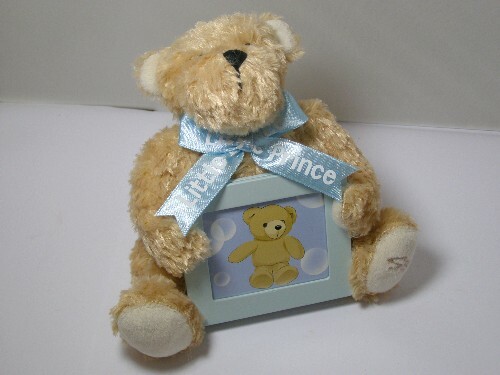 This beautiful musical teddy bear photo frame makes an unusual gift for a christening or naming ceremony. 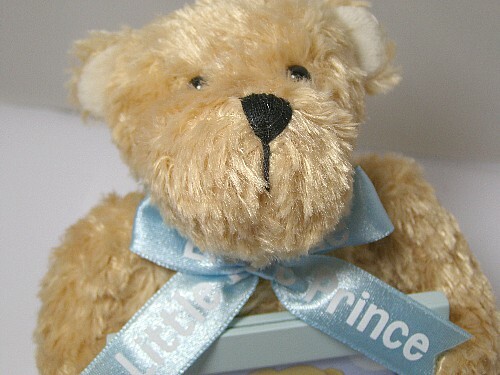 The bear is covered in a soft fur fabric with a pale blue ribbon tied around it's neck with the words 'Little Prince' printed on the ribbon. A key protrudes from the back of the bear and this can be wound so that the clockwork musical movement inside plays a tune. The tune is: 'You Are My Sunshine'. 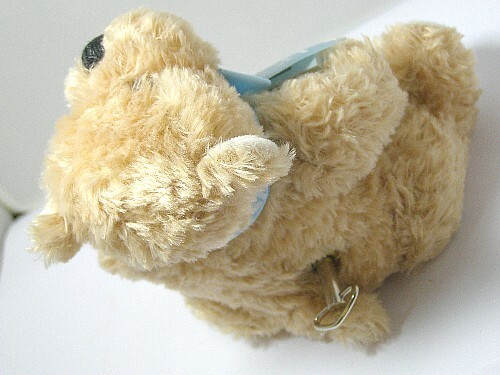 In addition, when the music is playing the bear moves it's head slowly from side to side.